Come for the Half Marathon & 10K, Stay for the Beach Vacation Rentals! Lincoln City beach vacation rentals are filling up fast for the weekend of the upcoming Half Marathon & 10K, but there’s still time to secure your place in the race and find the right accommodations to make the most of your time on the Central Oregon Coast. The 10th Annual Lincoln City Half Marathon & 10K on March 4th is still accepting new registrations, and there are still available beach vacation rentals. Lincoln City will fill up fast on race weekend, though. Whether you want to run, jog or walk in the half marathon or 10K, or you just want to enjoy cheering on the participants and basking in the celebratory vibes afterward, you won’t be sorry – unless you wait too long and miss out. Every year around the start of March, the Lincoln City Half Marathon & 10K returns to this beautiful stretch of Oregon coastline to kickstart spring, get people moving and raise some money for great causes. This year’s course starts at Taft High School at 9 am on Sunday, March 4th. 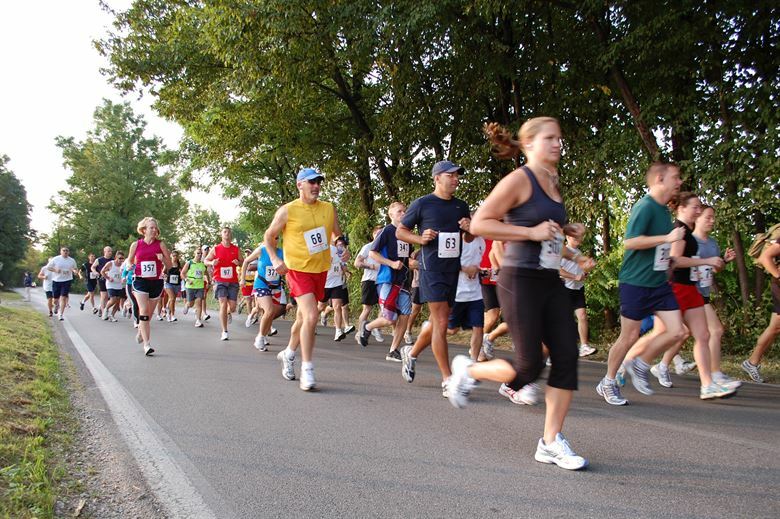 The out-and-back course takes runners, joggers, and walkers through 13.1 or 6.2 miles of rural, scenic, two-lane roads peppered with rolling hills. Registered runners and walkers can pick up their race packets with technical t-shirts on Saturday, March 3rd from noon to 3:00 pm at the Lincoln City Community Center, or from 7:00-8: 30 am on race day at Taft High School. All those who complete the race will receive a finisher medal, and additional prizes will be given to the top male and female finishers in five age groups for each of the two races. Contact the Lincoln City Community Center for more details and to register. The Annual Lincoln City Half Marathon & 10K makes for a great excuse to visit the Central Oregon Coast, whether you’re participating or supporting. And while you’re in town, why not make the most of your stay with a long weekend in one of our seaside homes or beach condo rentals? Lincoln City is full of great accommodations and A-1 Beach Rentals in here to help find the property that’s right for you and your family, friends, traveling partners and running buddies. 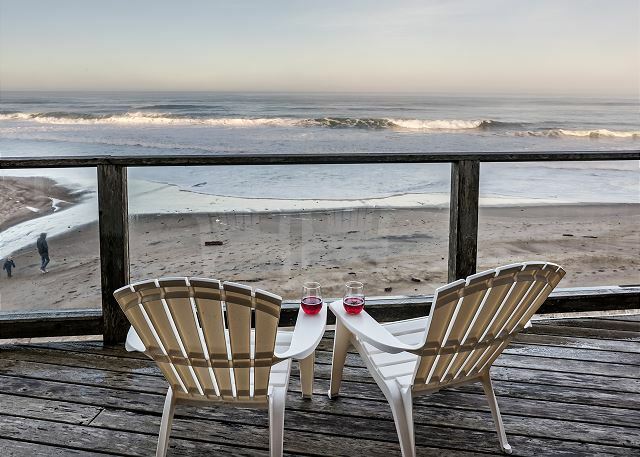 The RSS Pacific in Depoe Bay offers an ideal condominium for up to four guests, while the Whispering Sands, Seashells, and Miracles in Lincoln City offer excellent condo rental opportunities for couples or singles. The Nantucket in Lincoln City is also an ideal cottage just for two. If you prefer a roomy duplex or beach house, the Sea Star North in Lincoln City sleeps up to six people and the Sea Mist in Lincoln City sleeps up to eight. You may also prefer to stay just outside of Lincoln City in Kristy’s Cottage, A-1’s recently added property located in the picturesque nearby town of Gleneden Beach. The choice is yours – just don’t wait too long to book your stay or register for the race! The Half Marathon & 10K always brings a great deal of fun, energy, and spirit to Lincoln City, and the area’s beach vacation rentals are always wonderful places to stay. Who wouldn’t want to be a part of that? Kristy’s Kottage is the latest addition to A-1’s wide array of Oregon beach house rentals situated along the state’s central coastline. The company is celebrating by offering a complimentary third night to all guests who book at least two nights in the property by the end of February. This charming house, which sleeps four, is located just a mile south of Lincoln City in the lazy little seaside town of Gleneden Beach. With excellent dining options, a golf course, secluded beach and lovely walk to fun local shops, Kristy’s Kottage should start filling up with reservations as soon as word gets out. Keep reading to learn more about one of the best new beach vacation rentals Oregon has to offer. A-1 Beach Rentals already offers a vast selection of homes and condos throughout the Lincoln City area, but Kristy’s Kottage is a little bit different. The shingled cottage looks like a classic Pacific Northwest beach house with extra perks such as panoramic views from every room, including the fully equipped kitchen and laundry room! You’ll find a private courtyard that lets the sun in right at the entrance, as well as a western-facing deck with transparent windscreen and outdoor furniture for dining or relaxing. If it’s too wet or windy outside, you’ll also appreciate whale or bird watching from the dining table or relaxing in the luxury living room with wall-mounted flat screen TV, DVD/Blue Ray player, and gas fireplace. And when it’s time for bed, you can rest easy in either of the two queen bedrooms located in the much quieter eastern-facing wing of the house. When it comes to beach rentals, Lincoln City, Oregon is a go-to destination for many travelers. The beautiful surrounding towns are also worth exploring, though, and Kristy’s Kottage is ideally located to make the beautiful Gleneden Beach your home base. You’ll find beach access right next to the property’s driveway, so you couldn’t be closer to the sand and surf. The town boasts excellent amenities as well, such as the Salishan Spa and Golf Resort, Side Door Café and Red Roof coffee house and wine bar. This quiet, tranquil beach town also sits between Depoe Bay, Lincoln City, and Newport, so you can easily get to other local beaches and amenities within minutes by car. If you’re thinking of booking a three-night stay in Kristy’s Kottage to take advantage of the exclusive deals on offer, just make sure to book fast before the end of February. Once word gets out about this plush property in one of the quaintest and coziest parts of the Central Oregon Coast, you might just find that it’s booked up every weekend. For now, though, this cottage and the adjoining beach are hidden gems waiting for you to discover!